Thinking of where to host your corporate holiday party or private event this year? Our friends at Smith & Wollensky Boston Steakhouse offer a beautiful function room with exquisite decor & we don't think we need to mention just how good the food is! 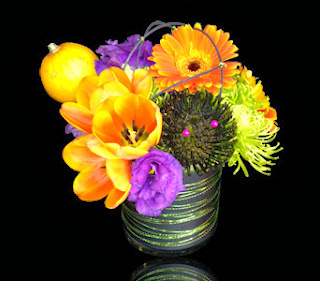 The lovely custom floral arrangements in this photo were designed by Stapleton Floral Design. 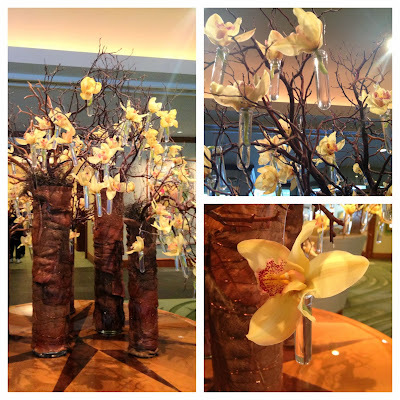 To inquire about floral decor for your event, click here. Featured Item Of The Week - Boston Halloween! This fun arrangement is a perfect gift for any child, an adult who is a child at heart or a perfect centerpiece for your Halloween party. "Bety at the East Broadway location was so amazing and helpful! With only a months notice before my wedding she was able to sit down with me, look at a few pictures I had found on Pinterest, and figure out exactly what I wanted for flowers. Everything was so beautiful! She put together table arrangements, the bouquet, flowers for the cake, and flowers for my hair. Everything was delivered to the hotel and I didn't have to worry about a thing! Bety was very professional but so friendly and fun at the same time. I stopped into the shop without notice several times before the wedding to talk to her and she always made time for me. She is so knowledgeable and has clearly had a lot of experience with all types of different events. I would definitely recommend her to everyone!" 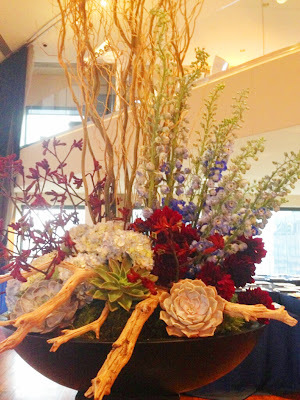 We recently had the honor of providing bouquets and centerpieces for an event by an amazing organization called Terezin Music Foundation, at Symphony Hall. If that was not enough, we found our bouquets being held by two very special individuals, in pictures across the news media. 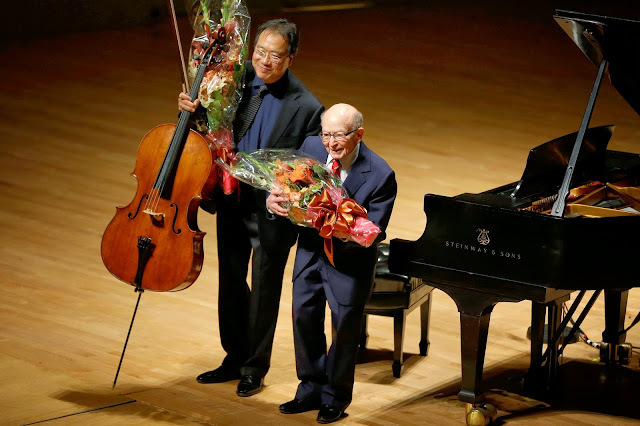 Please take a moment to read one of the news outlets (CBS News) story of those involved, and this special event. 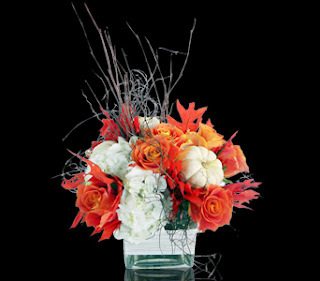 "At our annual concerts and dinners at Symphony Hall, Stapleton provides stunning artist bouquets with just the right balance of tasteful, lavish, gorgeous, elegant, and festive. The table centerpieces they create for our dinners are the same, and always lift the room from drab to fab. Their work is top quality." Our beautiful bride Eleanor walked down the aisle at Gate of Heaven Church carrying this gorgeous custom floral bouquet by Stapleton Floral Design along with her amazing bridal party. 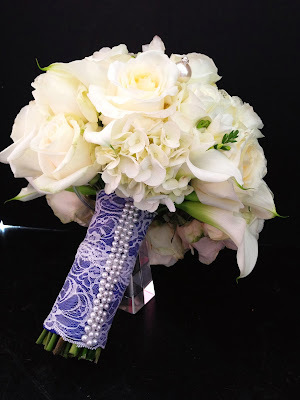 Guests then celebrated Eleanor & Paul's marriage along with family & friends at the fabulous Boston Harbor Hotel with lush & elegant designs filled with white hydrangea & roses. Congratulations to the lovely couple, we wish them all the best! 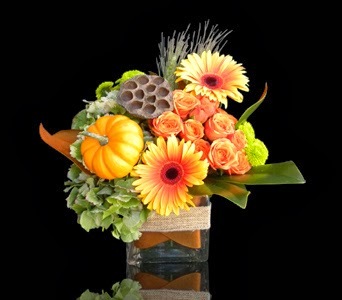 Hosting a Fall gathering or Halloween party this weekend? 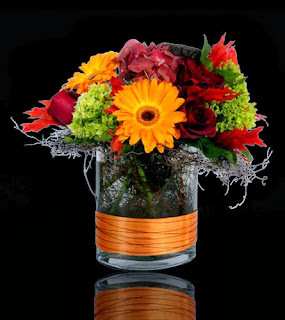 Add some of Boston's brilliant foliage with our Boston Harvest custom floral arrangement filled with rustic green hydrangea, gerbera daisies, spray roses, kermit poms, magnolia leaves & wisps of wheat. 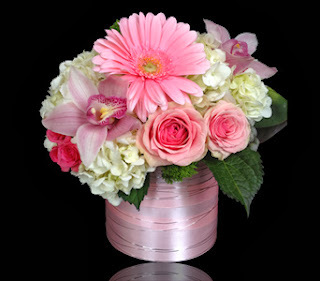 Here at Stapleton Floral Design, we love pink! Especially when it represents a great cause. Congratulations to Meaghan & Christian! 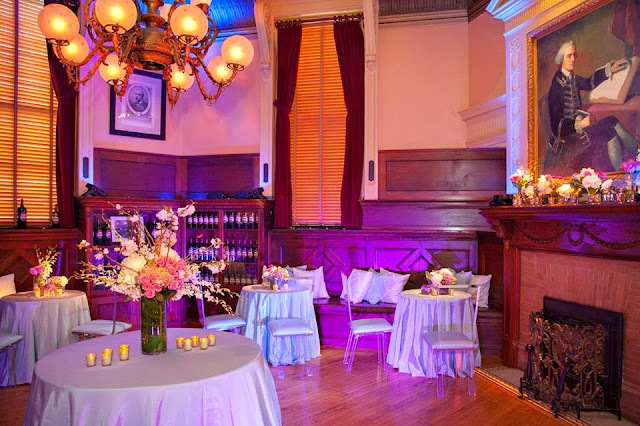 Their Wedding at The State Room﻿ was absolutely exquisite. 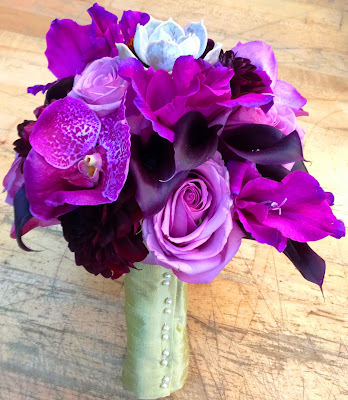 With vibrant hues of plum, lavender, purple & magenta, the Stapleton Floral Design﻿ Team created lush bouquets with added textural elements including cone flower pods, poppy pods & mini succulents. For the reception we created a high and low design. The elevated design included tall branches, tropical monstera & clusters of calla lilies & orchids. The low designs were a composite of three cylinder vases of various size with submerged orchids. 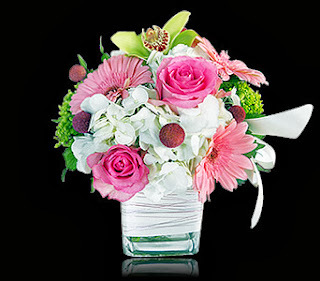 Show your support & think pink with our Pretty In Pink custom floral arrangement! 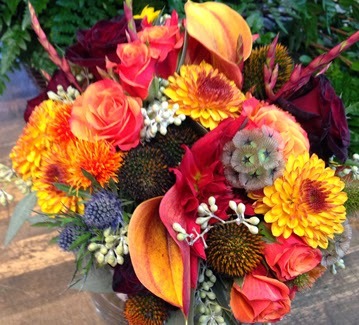 Fall custom floral arrangements by Stapleton Floral Design are here!